Hold The Responsible Party Accountable: If you have sustained a car wreck injury due to the negligence or recklessness of another driver, you have a legal right to hold that driver liable and seek compensation. Though award amounts differ based on the extent of one's injuries, many people are awarded money to help pay for medical bills, lost wages, vehicle damage repair, rental car costs, and/or pain and suffering. Rogers & Driver, Attorneys at Law, can help you design the most effective case possible to get you the compensation you deserve. Call Rogers & Driver, Attorneys at Law First: After you've received medical attention for your injuries, the first call you place should be to your accident injury attorney at Rogers & Driver, Attorneys at Law. Never speak to the insurance company of the at-fault driver without first speaking to your lawyer. The other party's insurer has a vested interest in getting you to settle, and an accident attorney will shield you from the insurer's tactics. 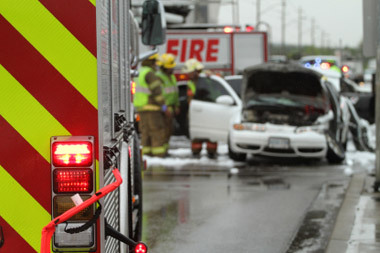 Auto Insurance Coverage Varies: Your auto insurance may or may not fully cover you in the event of an accident. The money you receive will depend on the type of insurance you've purchased as well as the severity of the injuries and vehicle damage you've sustained. Rogers & Driver, Attorneys at Law, aims to maximize insurance payouts from the insurance policy held by the at-fault driver.